The Emerald City of the Pacific Northwest, this city’s stately skyline sparkles against a backdrop of inland seas and snowcapped mountains. Shop glittering downtown, the bustling Farmers’ Market, historic Pioneer Square, or see it all from the top of the Space Needle. This waterfront town built on trestles, docks and pilings looks like it has been plucked from a storybook about frontier life. Explore historic Creek Street, now a covey of contemporary art galleries and quaint boutiques. Meet the spirits of the raven, whale and eagle as you view the largest collection of totems in the world at Totem Bight Park. This narrow, 26-mile-long fjord is another of Alaska's most dramatic glacier settings. The lush forest recedes to reveal a stunning canyon of bare rock. The panorama of 7,000-foot mountain peaks and nearly vertical rock cliffs is astounding. Waterfalls are plentiful and icebergs make their way to the sea in all sorts of wondrous shapes. And tucked away at the end of this remarkable waterway are two very active reminders of the Ice Age - the twin Sawyer Glaciers. Mountain goats and seals are a common sight, and even whales and bears may make an appearance in this magical place. When a drifter named Joe Juneau picked up the first Alaska gold nugget out of Gold Creek in 1880, he could hardly imagine that his name would be affixed to a state capital. Fronting on the blue waters of the Gastineau Channel and surrounded by the stunning backdrop of Mt. Juneau and the Tongass National Forest wilderness, its visual drama never fails to stir visitors. Visit the stately Governor’s Mansion, saunter through the swinging doors of the Red Dog Saloon, or sightsee the mighty Mendenhall Glacier, just outside town. 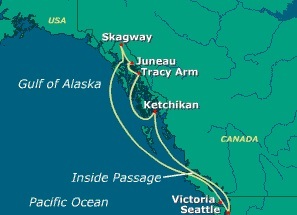 Skagway was known to thousands of hopeful gold rushers as the gateway to the gold fields. During the late 1800’s people were drawn to the town's hotels, saloons, dance halls and gambling houses. But when the gold yield dwindled in 1900, so did the population of Skagway. This unique town retains the flavor of the gold rush era, especially on Broadway, with its false-front buildings, and its famed museum, with its outstanding collection of memorabilia. 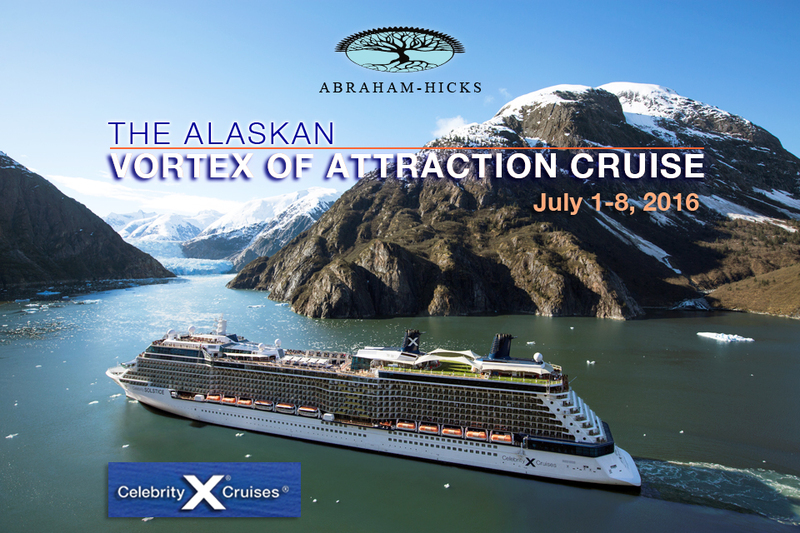 Some of the special group tours offered in this port include the White Pass and Yukon Train, horseback riding, golf, and the notorious brothel. Victoria is known as “The City of Gardens” and is the most English city outside of England, featuring a beautiful harbor, historic museums, and the world-famous Butchart Gardens. The city's British colonial heritage is still very much in evidence, but contemporary Victoria has a distinctly Pacific northwest flavor. Victoria's unique character is deeply rooted in its 150-year history -- a history full of colorful people and fascinating tales. THE SHIP IS SOLD OUT! 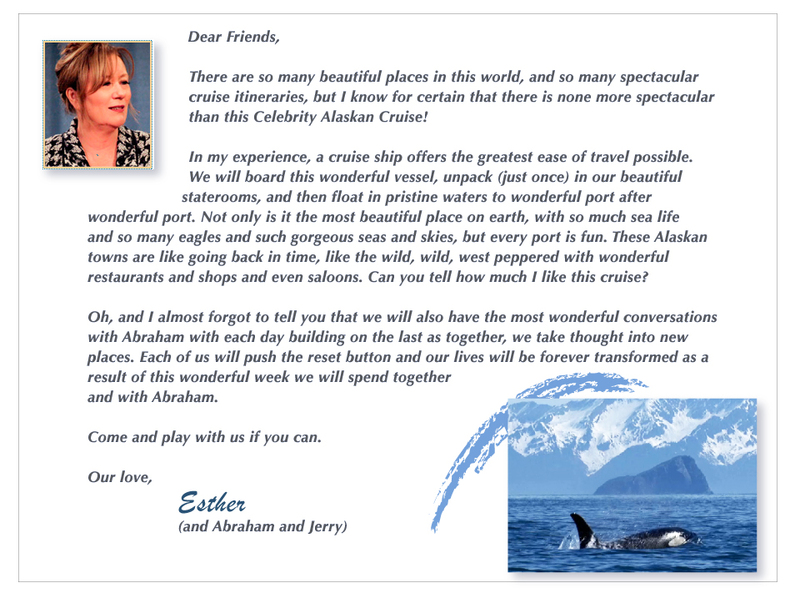 If you wish to be on a waitlist for this Alaska Cruise, please email Antoinette@lifejourneys.net. 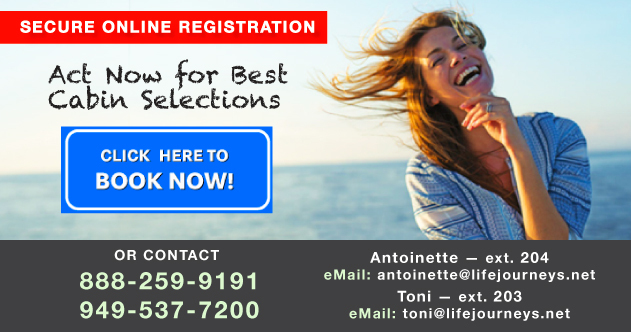 Please include your occupancy and preferred cabin type. Features floor to ceiling sliding glass doors, living room with queen sofa sleeper, surround-sound system with 52” LCD TV, walk-in closet, Bedroom with 40” LCD TV, shower/tub combination, and vanity. Celebrity requires that all passengers in the group pre-pay gratuities at final payment. Children rates are the same as 3rd or 4th passengers.